I ran out of notebooks in my brain. 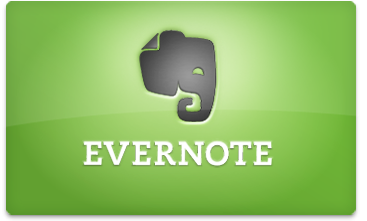 I've been an early and firm fan of Evernote for years, using it for business travel, blogging, planning and writing books, and managing my personal life, among other things. I use Evernote Premium, and I am well short of the storage space that allows, so I haven't worried...until I ran out of notebooks. That's right: Evernote limits you to 250 notebooks. And while you can continue to add files and store them, they've got to go into one of your 250 notebooks. This becomes an issue because Evernote won't sync properly between and among all its apps--desktop, mobile, or web--if you have too many notebooks, a smart control for the entire system. Make sure all my notebooks reflect the system I use currently: I've changed how I organize notes and notebooks over the past few years, but haven't always updated old notebooks to reflect that system. In my tax files, I used to have notebooks by type of deduction; now, I archive them by year. My travel notebooks used to be organized by individual cities; now, I archive them by region. Making old notebooks consistent with new ones helped consolidate many notebooks. Tag and search rather than organize by notebook: While I have some tags that are applied automatically, I haven't tagged notes as much as I could or should. Tagging, and relying on Evernote's outstanding search capability, would let me put items on many topics into a single notebook. Previously, I'd indulged in one notebook per topic, stacking notebooks (a neat feature) to keep like topics together. While I still will have notebook stacks, and many notebooks, more tagging will help me stay within my allotted count. Merge and purge: While reorganizing my notebooks, I used several critical functions, merging all the notes in one notebook into a single summary note, then moving it to another notebook and deleting the first, now empty, notebook. For example, I've maintained one notebook per client, whether active or inactive. Now, for clients whose work is completed and not ongoing, I am merging all their notes into a single note and filing it in an inactive client file in two groups, individual clients and organizational clients. That takes my notebooks down from dozens to just a couple in one strategic area. Again, Evernote's great search and tag features will ensure I can still find whatever I need. Create an archiving schedule: I've now created quarterly schedules for archiving and merging notes for projects and clients that are completed, to stay ahead of the game. If you want to try Evernote for yourself, use my link, set up a free account, log in, and you'll get a free month of Evernote Premium with 4GB of data uploads each month, unlimited storage, and expanded search.